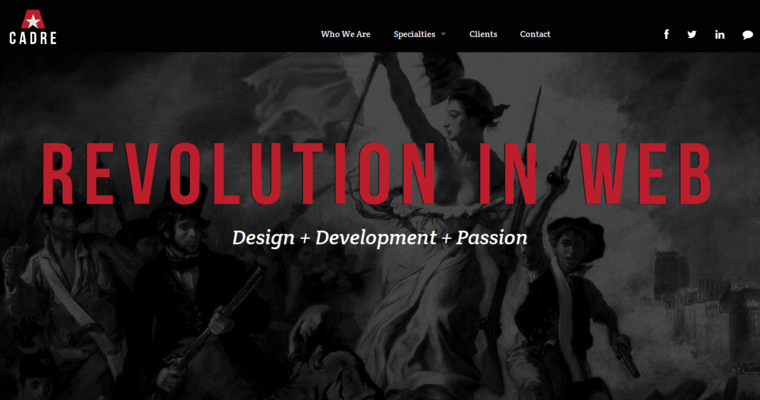 Cadre is a web design firm that prizes themselves on building responsive websites above all else. 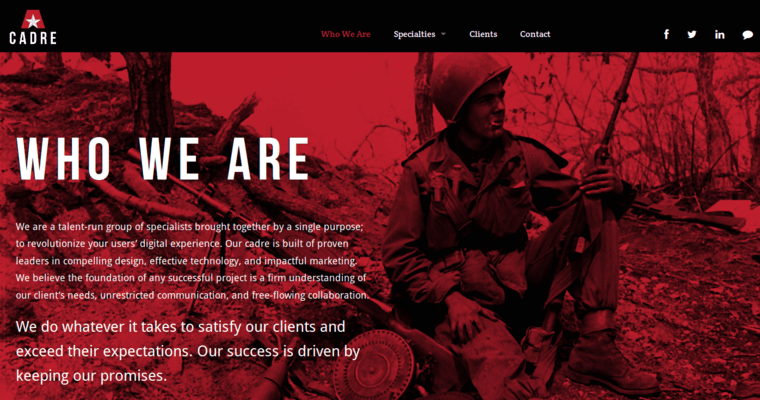 While other web design firms might try to take advantage of their clients by building sub-par websites that only appear to be functional, Cadre instead goes the extra mile to ensure that their site architecture is professionally designed. In addition to designing the technical aspects of a site, Cadre is also known for having some of the most creative minds in the website design industry. 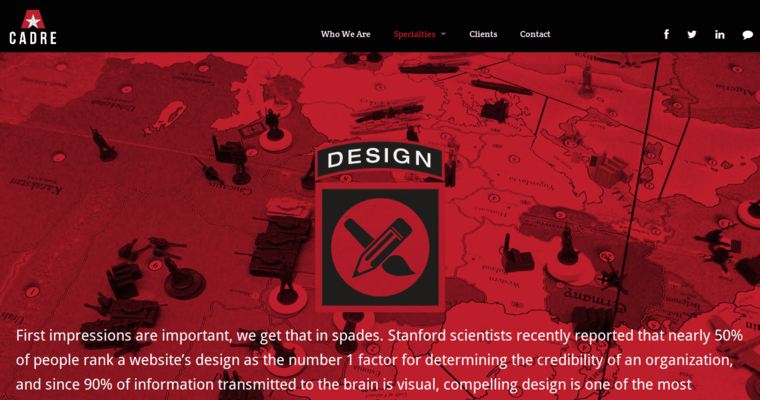 Through this exploration of creativity and functionality, Cadre has managed to craft a style that is unique to its web design firm. Companies that are interested in developing a unique website from the ground up, that won't unexpectedly crash on them, should seriously consider contacting Cadre for more information.